Tony Harris is a creator who has always fostered great relationships with his fanbase. This weekend he is at NC Comicon. I was impressed by a comment Harris made on Facebook. This young lady stole the show- really an amazing moment for me. 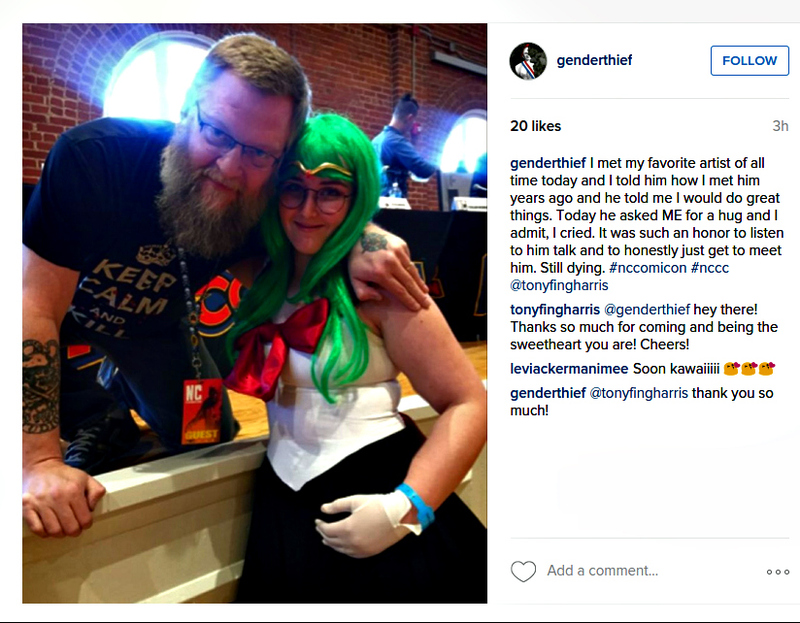 To get the full context you need to visit genderthief’s (the fan) Instagram account.